An app that looks to shortlist roadkill hotspots has helped reduce such accidents on a West Bengal stretch by 86%. Bengaluru: This is not just a report about the latest breakthrough app. It’s one about people tapping technological advances to make the world a safer place, not just for human beings, but our animal friends as well. 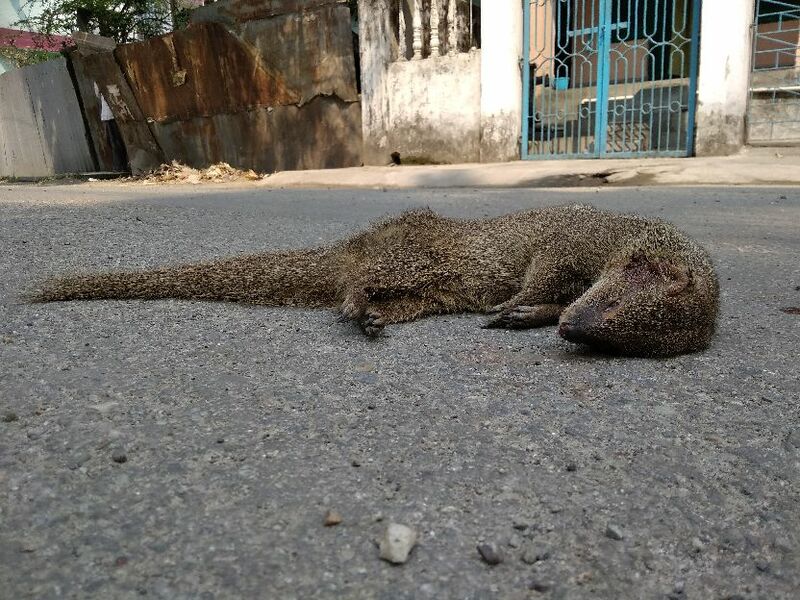 Roadwatch, an app that relies on GPS data and citizen inputs to shortlist the stretches where roadkill is most common, has helped cut animal deaths on a notorious West Bengal road by 86 per cent within months. The statistics gathered by this app are believed to have catalysed a years-long effort to shut West Bengal’s Uttar Dhupjhora Road, which passes through the Gorumara National Park, from 6 pm-6 am, in a bid to prevent night-time collisions. The closure finally kicked in last October. Between February 2018 and mid-October 2018, there were about 2,186 recorded instances of roadkill along the stretch. Between mid-October and mid-January, the app recorded 146 instances. Highways that cut through protected areas and forests are a major threat to wild animals. Not only do the light and sounds brought on by moving vehicles cause disturbances to animals, accidents with vehicles often result in injury and death for them. They are also believed to inhibit the free movement of animals, which can affect migration patterns. Night-time closure of roads that cut through national parks and wildlife sanctuaries is an effective way to prevent such accidents because most such deaths occur after dark, when speeding vehicles encounter nocturnal animals like leopards, tigers and hyenas. Another advantage is that the measure can help hinder the movement of poachers who stalk forests at night to evade authorities. “Early morning and late evening are the times when I have seen the most instances of roadkill,” said Bishnu, a regular data reporter on the app who has documented about 500 roadkill incidents in West Bengal. Bishnu is currently a member of the Society for Protecting Ophiofauna & Animal Rights (SPOAR), a nature conservation organisation. The order to close the Uttar Dhupjhora road from dusk to dawn was issued by the local district magistrate after the overwhelming evidence of roadkill collected on Roadwatch, together with poaching concerns, painted a picture of extreme danger for animals. “When we mapped all the roadkill data we received [from the road], we found that this particular road contained many roadkill incidents,” said Allen Shaji, the lead developer of the app. “This was brought to the notice of the forest department and then the magistrate. Today, the road is closed at night,” Shaji added. “We had been pursuing this case with the district magistrate for about three years,” said Nisha Goswami, the divisional forest officer for the Gorumara Wildlife Division. “What finally brought on the night-time road closure was the fact that many things came together — the police department advocated for the closure because they knew of poaching instances that occurred in the area and the roadkill data provided by Roadwatch helped further the case,” she added. 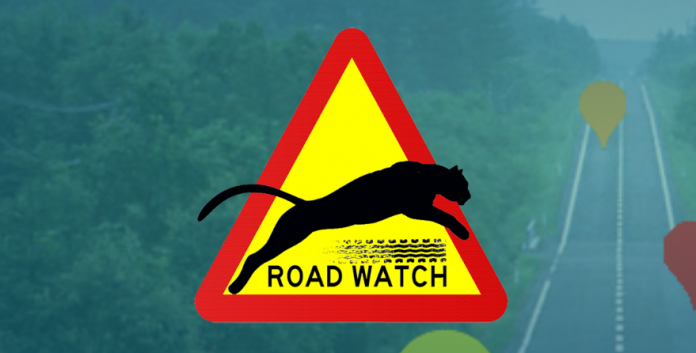 Roadwatch, designed specifically to collect data like GPS locations, images, type of animal, date and time of accident, was developed by IT startup Leopard Tech Labs with support from conservation organisations Wildlife Trust of India (WTI) and David Shepherd Wildlife Foundation. The immediate aim is to identify roadkill hotspots across India in order to build a map for the purpose of taking preventive measures, with the ultimate goal being to spread awareness about roadkill and ways to avoid it. The app was rolled out with the Uttar Dhupjhora Road. “Speeding vehicles have brought on many wildlife casualties — mostly during late evening and night-time on this stretch of road through Gorumara,” said Pradeep Vyas, the former chief wildlife warden for West Bengal. “Many leopards have been killed… smaller animals like cats, snakes and lizards have also died. So, [vehicular] restrictions at nighttime are important,” he added. “We had tried to close the road for many years, but it didn’t happen,” Vyas said. “Now, I’m happy that it has finally been closed,” he added.